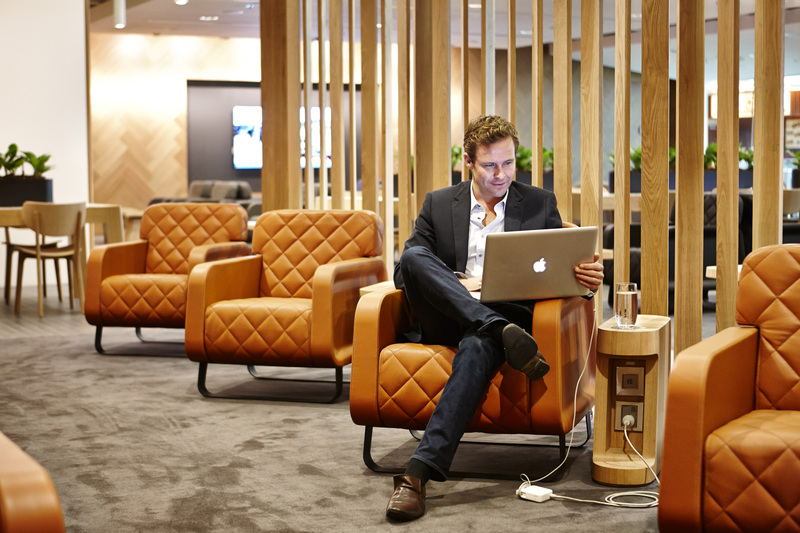 Qantas won Lounge of the Year at Thedesignair last year, and quite rightly so. It now seems they are fighting to win yet another year with this latest lounge, based in Singapore Changi airport. 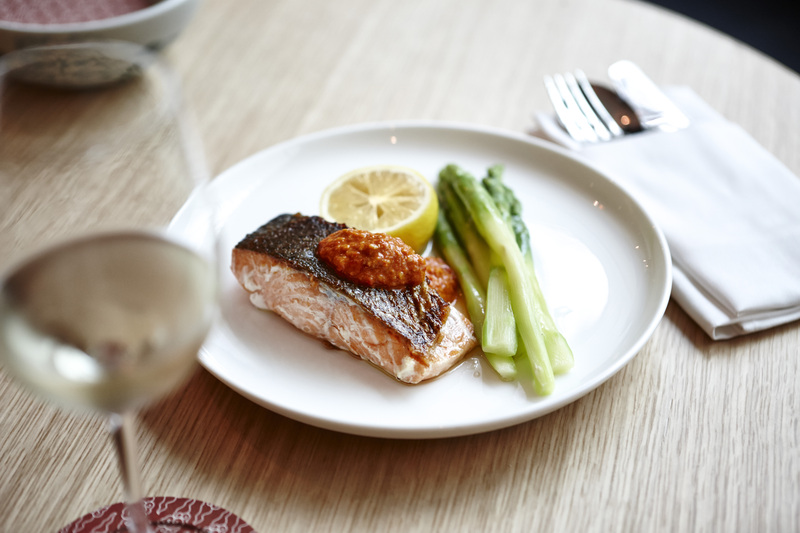 Qantas International CEO, Simon Hickey, said the new lounge showcased the experiences and cuisine of Singapore. 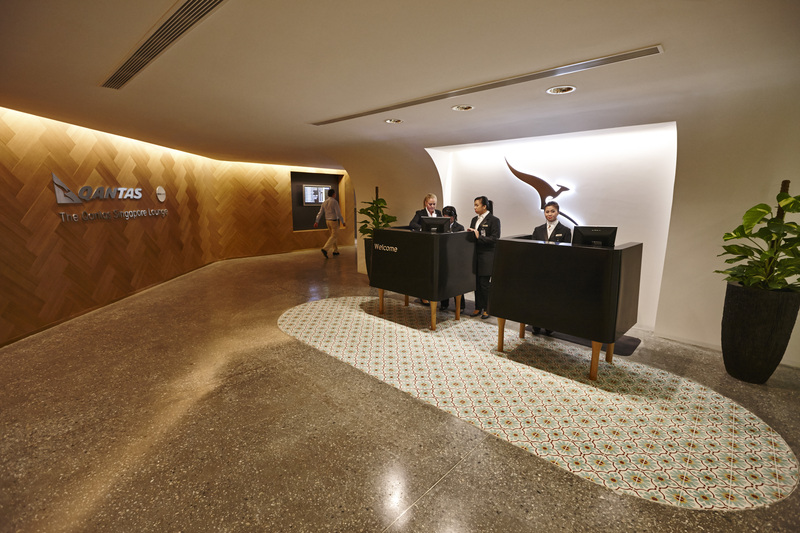 “The Singapore Lounge has been designed to complement the destination: it’s vibrant and elegant, spacious and luxurious, and it’s the perfect environment for our customers to relax before their flight,” said Mr Hickey. “We’ve worked with our renowned Consulting Chef Neil Perry to design menus based on his Rockpool food philosophy and popular restaurant Spice Temple, with dishes inspired by regional cuisine and flavours.” Looking at the images of the food on offer, we can’t wait to tuck on in. The design itself seems seamless with the rest of the Qantas business class product. Neutral wood coloured tones, and rich textures fill the space, with only portions of the exposed ceiling offering a more industrial finish. Copying the formula of Virgin Atlantic’s clubhouse, the luxurious surroundings echo the new luxury services such as shirt pressing and shoe shining offered in the lounge. We love the small touches such as the custom built tables next to the lounge seating that offer power points for each seat, saving the usual hunt for the perfect seat in the lounge. The lounge isn’t exactly small either. A massive 460 seater space, with 20 showers, this lounge is fit for purpose as an Asian hub. What’s interesting to see is that this lounge is positioned not for a stop over on a Qantas route, but for its connecting codeshare partners, such as Emirates. For many passengers travelling to Australia, this will be the very first taste of Qantas on a codeshare journey, and definitely sets the right tone. Thanks for you comments. I appreciate that you like what we did. But I can say that the open ceiling is not so much a design gimmick but more of a simple solution to a technical issue.